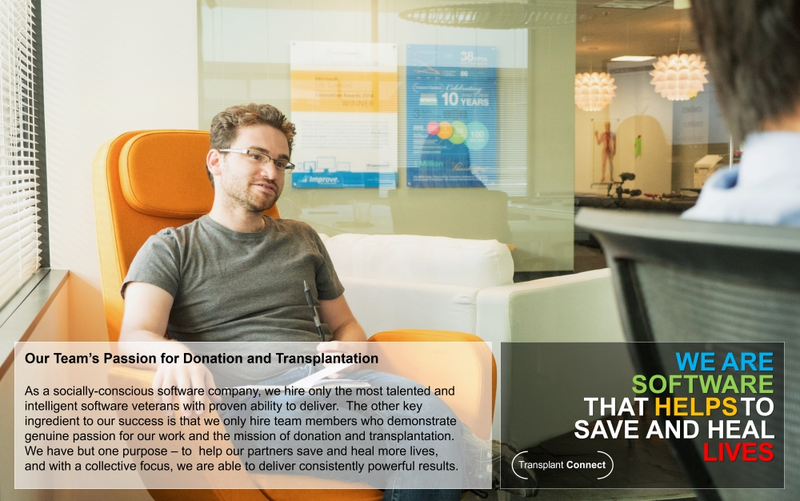 Founded in 2004 as a socially-conscious medical software company, Transplant Connect is the world's leading provider of human biologics (organ, tissue, eye, placenta and other) donation and transplantation software. 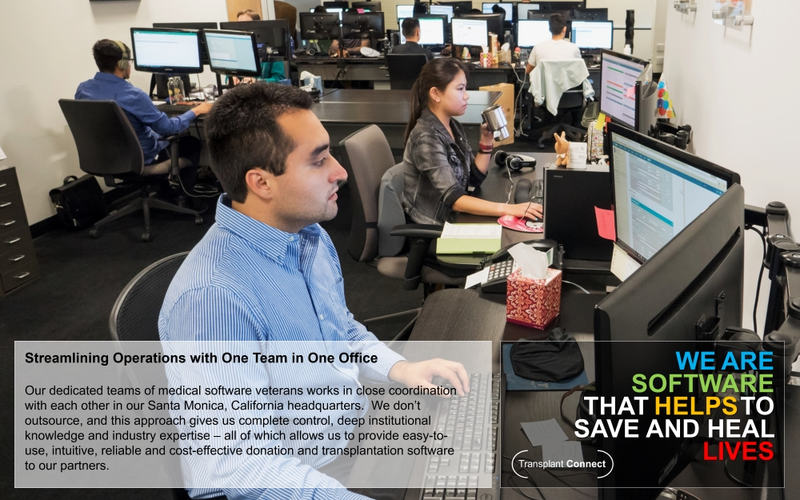 Our award-winning, secure cloud-based iTransplant℠ Donation and Transplantation Platform enables nearly 75% of all deceased organ donation in the U.S. and is used by more than 12,500 medical professionals at over 100 donation and transplantation agencies all over the world - from across the United States to Canada, India and Australia. Available on all devices, iTransplant℠ has shifted the paradigm for medical software, providing secure 24/7 access and intuitive, flexible and comprehensive functionality that drives instant enterprise knowledge and enables better and faster decisions - which, in turn, allow our partners to save and heal more lives. 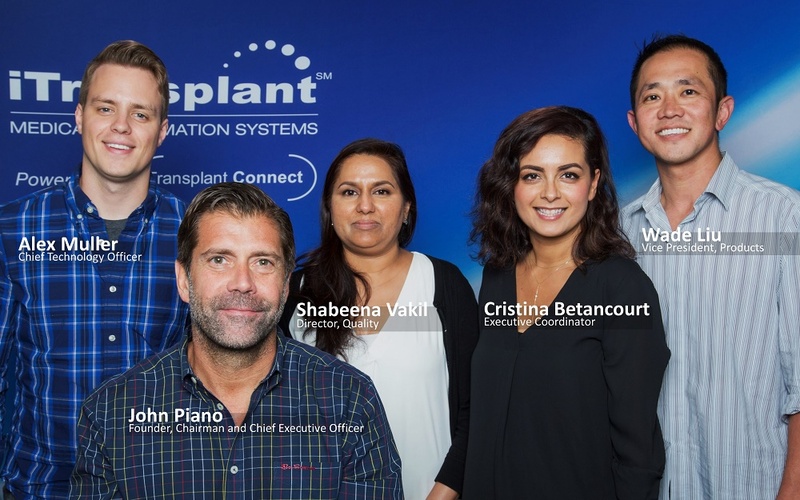 The iTransplant℠ Platform is using smart workflows and designs to rapidly improve and enhance donation and transplantation processes - ultimately helping save and improve many, many lives. Using best-of-class technology, our secure, redundant hosting architecture is second to none in our industry. We typically outperform SLAs and have an excellent hosting track record. We frequently and consistently enhance the iTransplant℠ Platform with new functionality, benefiting thousands of users and over 100 donation and transplantation agencies worldwide. 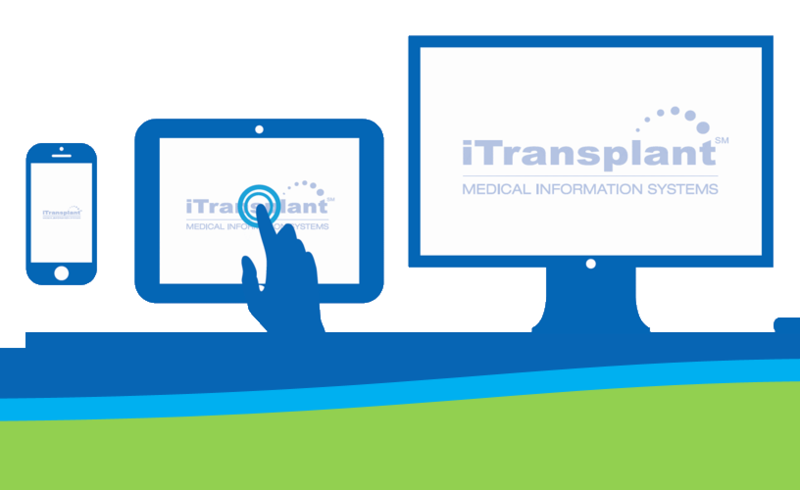 iTransplant℠ is a secure cloud-based clinical information, enterprise management and communications platform designed in collaboration with leading donation and transplant organizations in the U.S. and around the world. iTransplant℠ automates and streamlines mission-critical processes, reduces errors and delays and expedites key decisions and communications across the donation-transplant spectrum. iTransplant helps organ procurement organizations, transplant centers, tissue banks, eye banks, placenta recovery agencies and other partners save and heal more lives through streamlined and intelligent entry, management, analysis and communication of mission-critical information. Meet Our Team: Seasoned veterans work "sleeves rolled up"
Our veteran management team works tirelessly to lead our Engineering, Product Management, Client Support and Quality Groups as we move complex ideas from concept to reality. 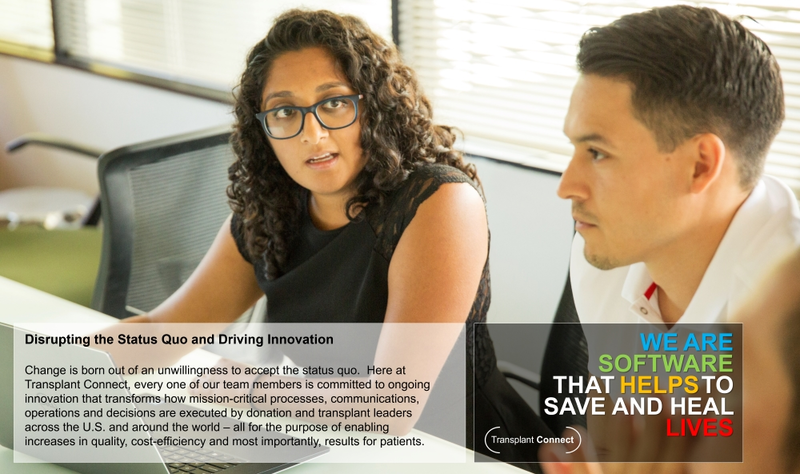 We manage and evolve our iTransplant℠ Platform to drive innovations that deliver breakthroughs for our partners without compromising the superior levels of quality, reliability and usability needed in the mission-critical and time-sensitive field of donation and transplantation. 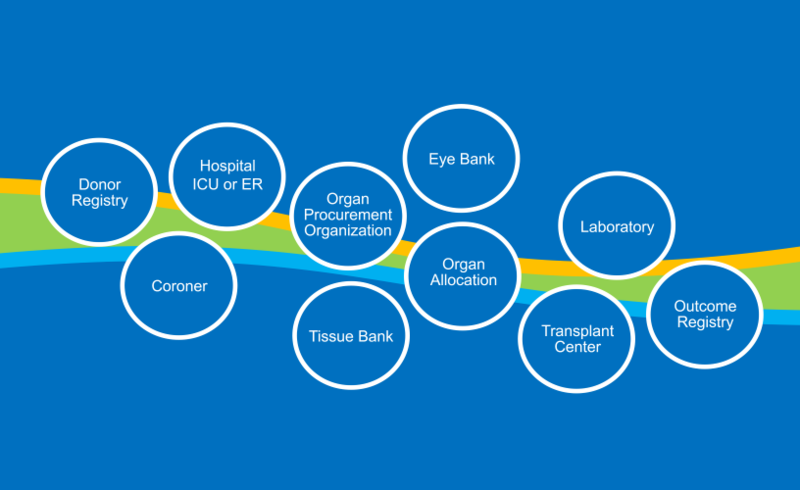 Among other advanced tool sets and resources, our iTransplant℠ Donation-Transplantation Platform leverages many of Microsoft's leading technologies, and we've achieved the highest levels of partnership and recognition from Microsoft. 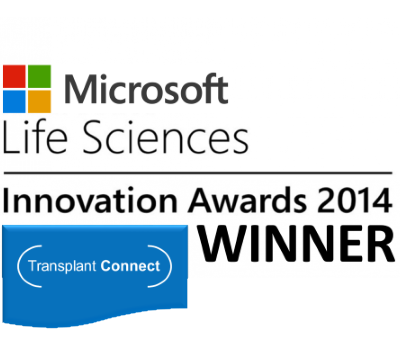 In 2014, we were selected from thousands of software, biotech and device companies around the world to receive the prestigious Microsoft Life Sciences Innovation Award. 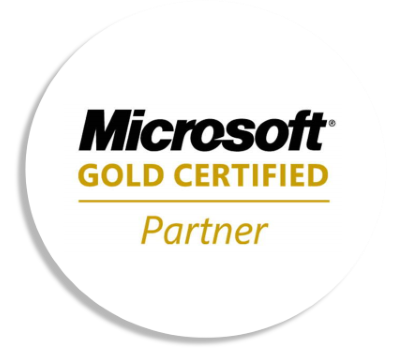 After extensive review by Microsoft, in 2016, we earned the status as a Microsoft Gold Certified Partner, their highest partner status level available. 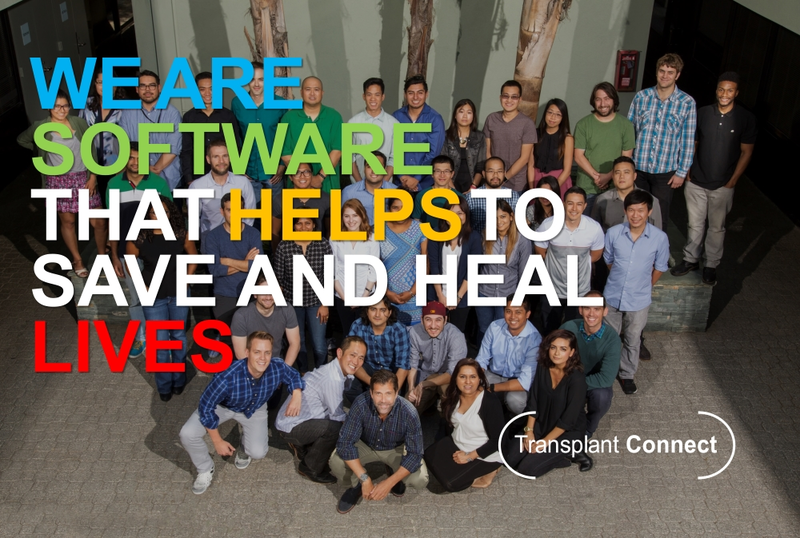 Transplant Connect, Inc. seeks full-time Software Developers to focus on developing and refining specialized enterprise-level software applications for use in the organ, tissue, and eye donation and transplantation field. Incumbents will utilize a range of tools and technologies and will focus on our proprietary and cloud-based clinical information, enterprise management, and communications platform, which automates and streamlines mission-critical processes, reduces errors and delays, and expedites key decisions and communications across the entire donation-transplant spectrum (impacting Donor Referral and Screening, Organ Donor Management, Transplant Center Patient Management, Tissue Banking, Eye Banking, Birth Tissue Banking, Outcome/Reporting and Analytics, and Online Donor Registries). These positions are based at our office located at 2701 Ocean Park Blvd., Suite #222, Santa Monica, CA 90405. Interested candidates should email their resumes to Jobs@transplantconnect.com. Copyright © 2019 Transplant Connect. All rights reserved.